An arctic air mass is bringing extreme cold to a wide swath over much of Canada tonight and into the new year, with the deep freeze that's expected to continue the next two days having an impact of New Year's Eve planning. An arctic air mass is bringing extreme cold to a wide swath over much of Canada tonight and into the new year, with the deep freeze that's expected to continue the next two days having an impact on New Year's Eve planning. Outdoor New Year's Eve celebrations have been cancelled in Ottawa, Calgary, Edmonton and other cities as temperatures plunge to the –20s. Across Canada, people are being advised to bundle up if they plan to spend time outdoors. Lower B.C. Mainland temperatures are moderate and Atlantic Canada has seasonal temperatures, but much of the rest of Canada is gripped by bitter cold. The coldest spot on Sunday is Rabbit Kettle, N.W.T, with a low of –48.9 C, according to Environment Canada. 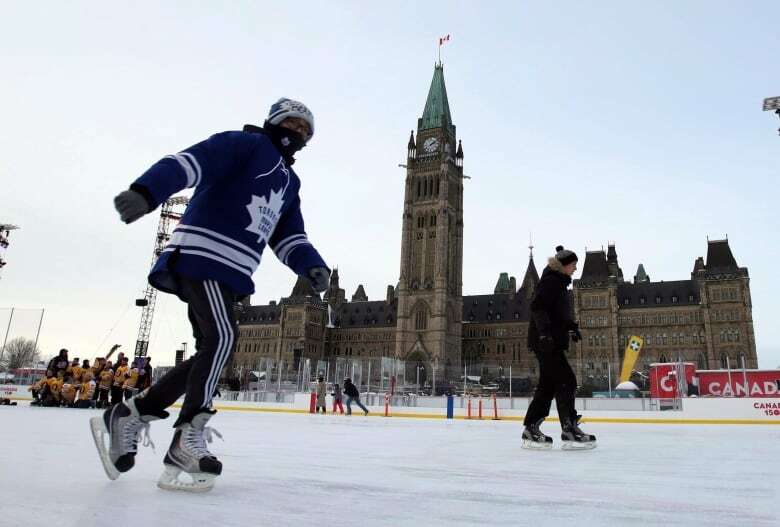 Ottawa is expecting –20 on Sunday, and –26 overnight into the first day of 2018, so some outdoor celebrations are being scaled back. Public skating on Parliament Hill, the tipi illumination and the winter lightscape shows, including the "Christmas Lights Across Canada" display, are proceeding. Fireworks planned for New Year's Eve on the Hill at midnight will also go ahead as planned. Most of Ontario is under a cold weather alert. Toronto will see a high of –15 C, making it feel like the –20s with the wind chill on Sunday afternoon, and a low of –22 C, with a wind chill value of –30 on Sunday evening, according to Mark Schuster, meteorologist for Environment Canada..
On New Year's Day, the forecast is calling for a high of –9 C with windchill values in the –20s during the day, and a low of – 22 C with a wind chill value of –30 in the evening. Toronto and Mississauga, Ont., have scaled back New Year's Eve celebrations as a result. Ontario's cold snap is expected to last the entire first week of 2018. It's also coming earlier in the year than usual, as frigid temperatures often don't arrive until later in January. In Montreal, the same arctic air mass will result in highs of –18 and –21 over the next two days, with temperatures dipping to –27 overnight. Quebec City will experience similar cold, with –18 in the day Sunday and Monday and a low of –31 Monday night. But that's no reason to cut back on the festivities, so New Year's Eve celebrations to go ahead as usual. The bitter cold isn't putting a chill on Winnipeg's New Year's Eve celebrations, despite temperatures of –29 Sunday morning and the temperature with the wind chill projected at –45 Sunday evening. The celebrations will go on at The Forks with a dance party at the festival rink and DJs performing outdoors. 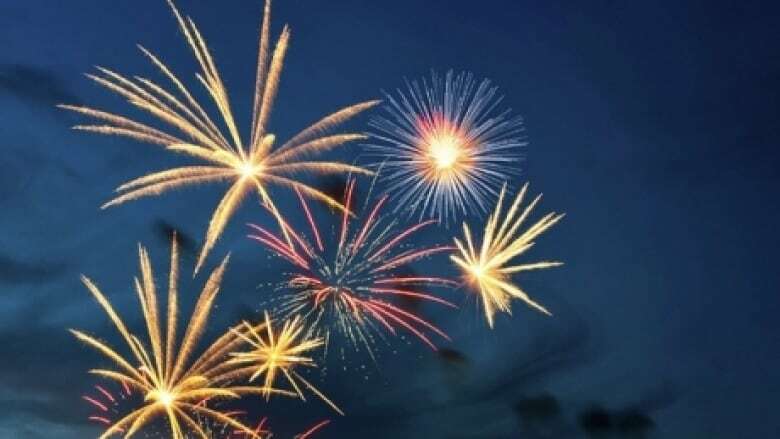 There will be a pyrotechnic show at 8 p.m. for families with little ones who need to go to bed earlier before the fireworks go off at midnight. There will also be sleigh rides, a painting show on a snow canvas and crafts for the kids. Winnipeg is a winter city, where they embrace the cold — through many protective layers, said Chelsea Thomson, manager of marketing and communications with The Forks North Portage Partnership. "Winnipeg is very cold in the wintertime and it's something that we are very used to. I think that if we cancelled our plans then we would probably have to cancel winter just in general," she said. For a brief time on Sunday, the northern town pf Churchill was the warmest place in Manitoba, with a daytime high of –23.3 C.
In southern Manitoba, cities like Brandon, Portage la Prairie and Winnipeg stayed in the deep, deep freeze with temperatures hovering between –32 C and –29 C.
Meteorologist Alysa Pederson said a ridge of high pressure is sitting over Saskatchewan and pushing cold arctic air into Manitoba, while north of that weather system, temperatures are warmer. Much of Saskatchewan is under an extreme cold warning heading into 2018. 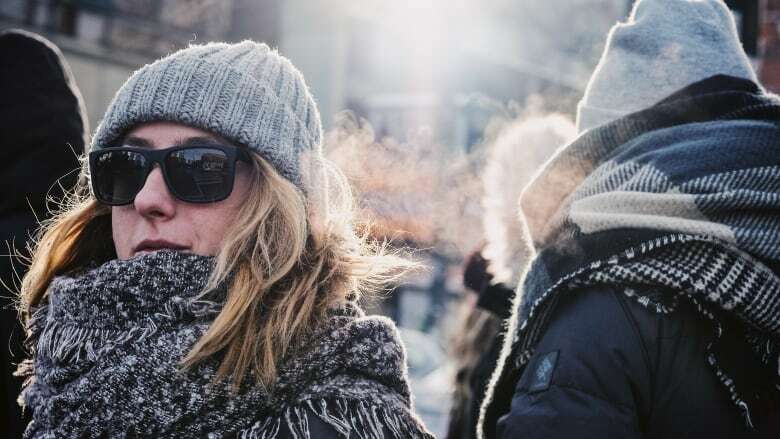 According to Environment Canada, extreme wind chills are expected to remain for prolonged periods of time, especially in the southern half of the province. Temperatures in the minus thirties are combining with strong winds to give temperatures of –40 C to –45 C into the evening and throughout the night. The extreme cold warning means frostbite can develop within minutes on exposed skin and residents are at a greater risk of hypothermia. Conditions are expected to be less extreme by Tuesday. The province of Alberta was placed under an extreme cold warning Saturday as an arctic air mass blankets much of Canada. In Calgary, Environment Canada forecasts temperatures to dip to –31 C overnight, which would feel like –44 with the wind chill. The bitter cold has forced the cancellation of the city's outdoor New Year's Eve celebrations planned for Olympic Plaza. The ball will still drop at midnight and it will be broadcast on television. Respite from the cold is in sight as chinook winds are expected to blow in to Calgary on Monday, bringing the temperature to a balmy –4 C. It's expected to reach 9 C by Friday. Edmonton has cancelled its outdoor activities on New Year's Eve due to the extremely cold weather. 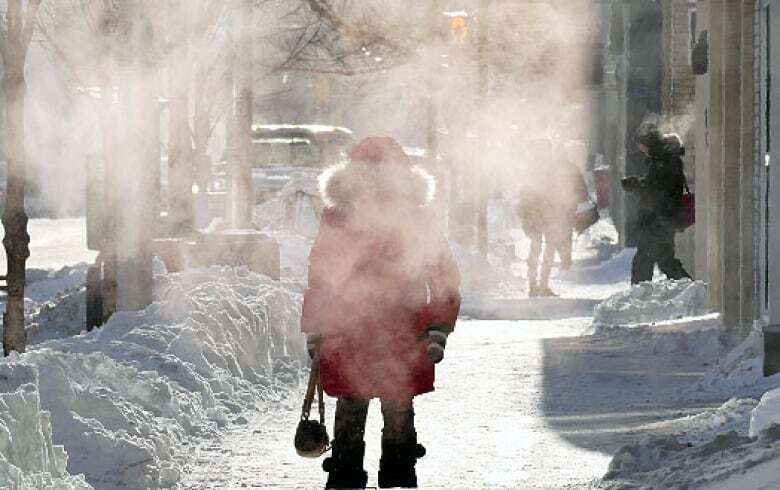 The forecast for Sunday morning is –40 with the wind chill, according to Environment Canada. At 9 p.m., it's expected to be –36 with the windchill. 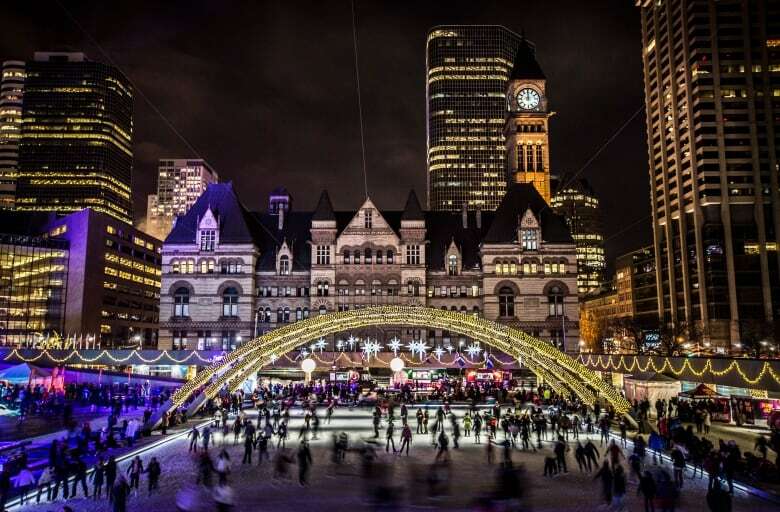 The city made the decision late Saturday evening to cancel the main stage performances, hayrides, ice carving, bonfires and bannock-making, joining several other major Canadian cities that pulled the plug on outdoor celebrations due to the cold. Fireworks will still happen at the legislature at 9 p.m., but anyone watching them outside is urged to dress for "extreme temperatures," the city said in a media release. B.C. 's Lower Mainland is relatively warm, with a high of 4 C expected Sunday and Monday, but further north, in Prince George, it will be –19 C.
Parts of Atlantic Canada also have a reprieve from the frigid air, with Nova Scotia expecting temperatures of –9 to –13. But there was a snow squall watch for Cape Breton and wind chill made it feel like -20 in Sydney, N.S. The New Year's Eve concert on the waterfront in Sydney has been cancelled due to frigid temperatures. In P.E.I. and New Brunswick, temperatures were in the –15 to -18 C range. Charlottetown's New Year's celebrations have been moved indoors. St. John's is expecting a bit of light snow and a high of –2 C on Sunday and –5 C for during New Year's Eve festivities.